I just finished reading Smart Money Smart Kids by Dave Ramsey and Rachel Cruze. I found the book very helpful. At first I didn't think I could dig it, and I thought it was inferior to The Parenting Breakthrough by Merrilee Boyack, I've talked a little about Boyack's book here). The plan presented in Smart Money Smart Kids is not as actionable. Its tone is more like a blog post or radio show, rather than a book. But then I got into it and I liked it. I think I really started getting into it once there were personal stories from Dave's kids. 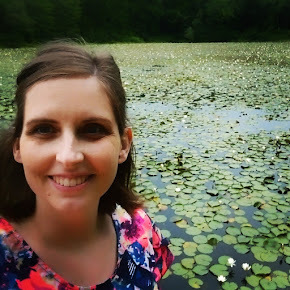 Rachel's first-hand account of saving up for a car, the story of her brother's generosity, and the story of the first (and only) time she got an insufficient funds letter from the bank. :-) These were where I felt the book really warmed up and began to meet my expectations. Then there was the part at the end, which has surprised me with it's applicability. Dave talks about teaching our kids generosity and contentment, and that has helped me to actually begin to do that and teach that in my kids. To recognize signs of jealousy and envy as the first steps toward discontentment and "rise up and fight continuously and fiercely to protect your child from these enemies." Just today we took some time as a family to celebrate Benjamin's accomplishment of swimming across a 25m pool without assistance or stopping. When I announced that we were going to "go get Benjamin his ice cream" Levi (age 5) began to whine and fuss, and when I calmed him down he continued to try and convince me that what Benjamin had done was "not that good" and didn't deserve special recognition. Before, I might have just brushed this behavior off. Instead today I took a minute to talk to Levi about how I want him to be the kind of person who can celebrate the success of others, and how that ability leads to a happier life. I don't know yet if the lecture took, but time will tell I suppose. So. I'm finding principles in Smart Money Smart Kids more applicable than I initially thought. We already have a money system for our kids that I'm happy with. It comes from The Parenting Breakthrough, which I mentioned above. And it has a lot of similarities with the system outlined in Smart Money Smart Kids. Both of them teach that you must 1) require your kids to work, 2) Teach them how to use their money to give, save, and spend, and 3) give them more responsibilities over money by giving them a clothing budget at age 12 that is subject to your approval. Both systems advocate for your kids working on commission at home and once they're 12+ outside of the home, too. The difference between the systems is that The Parenting Breakthrough calls what you pay your child from age 5-12 "allowance" and Smart Money Smart Kids calls it all "commission." They're both really doing the same thing though. In both books the kids must do the chores, in both they get a pre-set amount at a regular interval (monthly or weekly), but can earn more. Personally, we're sticking with calling it allowance* at this point because we had a failed experiment with paying on commission. Benjamin (age 7) is happy to forgo both work and money, until he wants something in particular. In the past I told him to do a chore and he said, "what if I don't do it?" to which I responded "you don't get paid." That was usually fine by him, and he didn't do many chores, which frustrated me. When we started the system outlined in The Parenting Breakthrough he was assigned a chore and said "What if I don't do it?" I said, "Then you don't get GO TIME. You don't get to go to school, or read a book or watch any shows." He was flabbergasted. I had to explain that he was going to get paid no matter what, and that he had to do his chores, no matter what. The Parenting Breakthrough tells you to encourage the kids to earn more than their allowance (which should be quite small) by working on commission. Then, at age 12 to cut the allowance off completely and only pay on commission - by this point, they've had an allowance for 7 years, plus earned more than it, so they're used to working for pay. She said their kids didn't mind losing the allowance at 12 because they gained the "clothing budget" lump sum and were excited to try that out. I'm interested to see how my own kids learn as they grow. By all means, if you have questions about what we are doing specifically, leave them in the comments and I will answer. 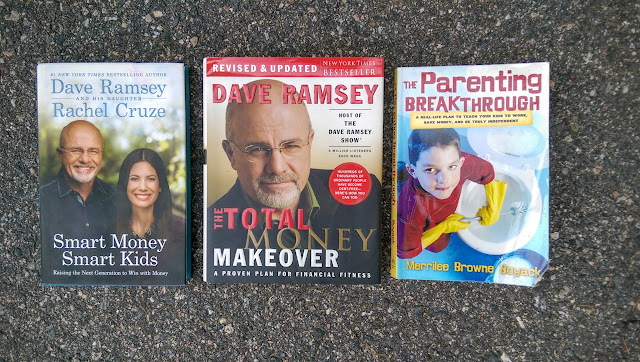 Overall, I definitely recommend Smart Money Smart Kids, but I say if you're not familiar with (and basically following) Dave Ramsey's plan outlined in the Total Money Makeover, you're going to want to read that one first and start that. Jacob and I have found the baby steps in Total Money Makeover enormously helpful. If you struggle with knowing what jobs to assign your kids at what ages, definitely get The Parenting Breakthrough. It takes the cake there, with no competition. Well, what started out as reviewing one book turned in to recommending three books! There ya go. I've linked the cover images above to Amazon, so that you can shop the books if you like, and if you make purchases through my links I earn a small commission. Now, I'm excited to talk to you guys about kids and chores and money. Tell me what is working for your family. Ask me anything! *actually, we don't usually call it "allowance" we call it "payday" or "money." For example, "Did we already get our payday?" and "Did you divide up your money?" Which book gives the most help to late comers? My 13 and 17 year olds are pretty good workers, but they could definitely improve and be more self motivated. They have not been on allowance at all. I think I'd pick The Parenting Breakthrough. It just has so much more actionable advice, plus that great list of jobs for different ages... gotta get me a personal copy and stop stealing Tara's.